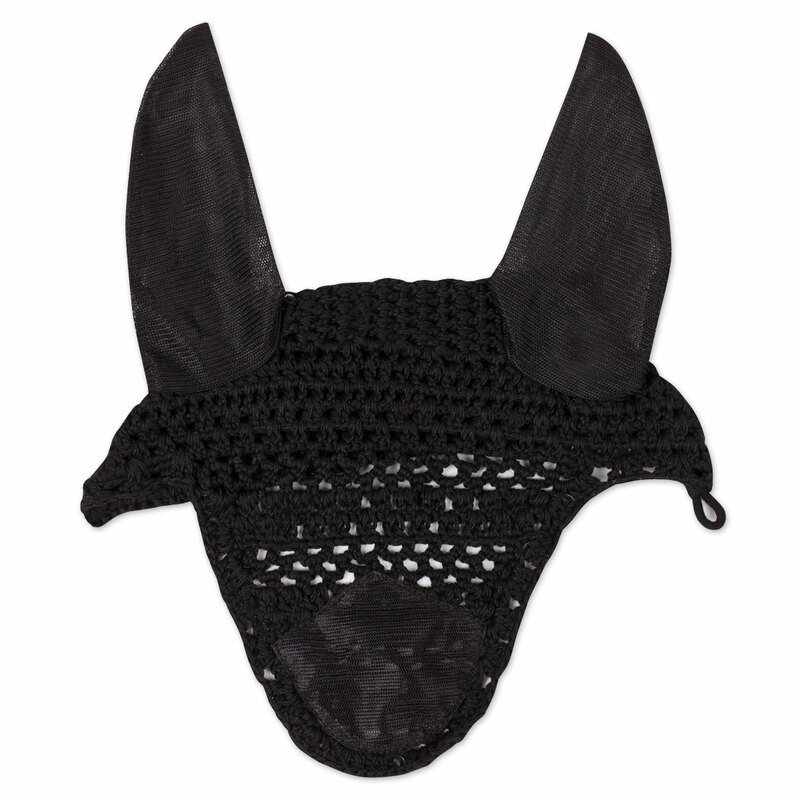 Coolmesh Ear Nets feature a crochet net with CoolMesh ears that allow for natural air ventilation to keep ears cool and comfortable while preventing insect annoyances. Coolmesh Ear Nets is rated 4.5 out of 5 by 60. Rated 5 out of 5 by Carla from Love this Ear Net!!! Got it two weeks ago - Put it on my girl and she was in heaven. She wears a full fly mask - ears, eyes, long nose. She loves her fly mask. So, the ear net was a blessing for her. Much quieter ride and she enjoyed herself more! Rated 5 out of 5 by KTScarlett from Great for keeping the bugs out of the ears. I wanted a bonnet for our gelding since he seemed to be bothered a lot by gnats and little flies this year. I liked the idea of the mesh ears so that he still has good air circulation. So far this has worked great, it looks nice, is really good qaulity and keeps the bugs out of his ears. Rated 5 out of 5 by Majorbehr from Perfect fit! Fits large warmblood perfectly! Would buy more!!! Rated 3 out of 5 by Viki14 from Crooked It looked nice when I opened it up, and I was glad it was breathable mesh. However, when I put it on, it was pretty crooked and wouldn’t sit flat. It does do the job though and I use it for schooling. Rated 5 out of 5 by AmandaG from Really love this ear net! I’m really happy with the quality of this ear net. I love that the ears are mesh and not a very stiff material. It fit my OTTB perfectly, and has plenty of material behind the crown, so I may cut off the string. Rated 5 out of 5 by Emme from Fits well, good material This fly bonnet worked well for my gelding. 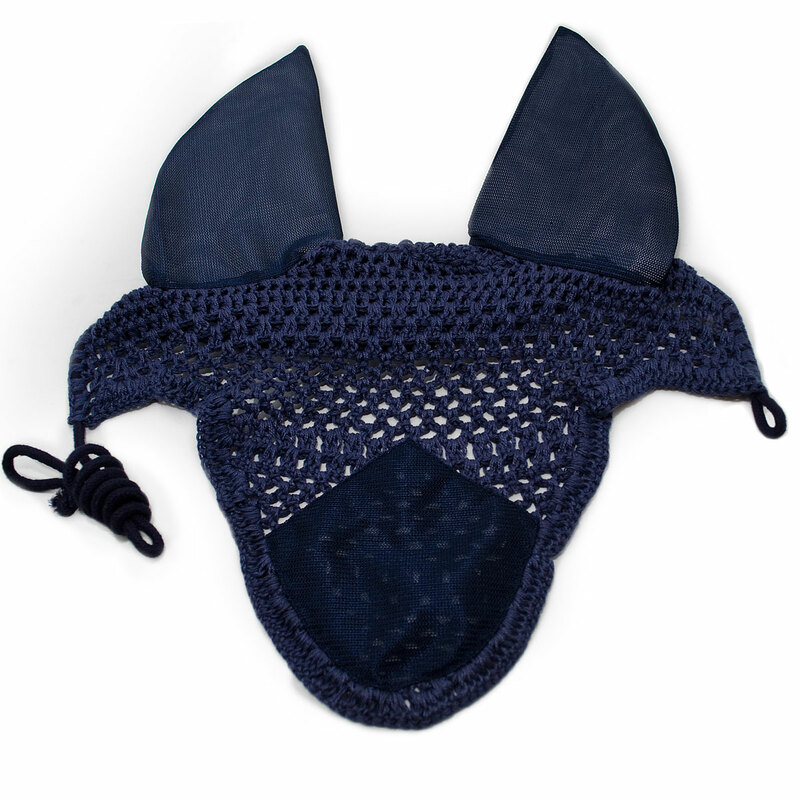 I like the mesh material for the ears, rather than cotton. Rated 5 out of 5 by rachaeljm from Love the Size Selection I bought this ear net in the oversize because my project mare is an average sized horse with the biggest ears ever and the regular ear nets would squeeze her ears. So, I'm super happy I found this ear net that not only gave me color options, but size options, for a really nice price. The quality is pretty good, too. Definitely will buy again when I need to. Rated 5 out of 5 by Serendipity from Nicely made My TB hates bugs! Since we added new footing to the outdoor arena, it's the best place to ride. Ben's new ear net makes it more tolerable. It's well made, doesn't feel like it's going to fall apart, at a very reasonable price. Rated 5 out of 5 by Marc from Nice for the price Fits my big headed TB well. The only thing I don't care for is the mesh on the front part that lays on their forehead. I like the mesh ears though! Great for everyday schooling!